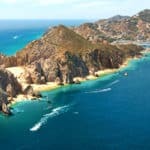 Beach Travel Destinations > Take A Cruise > Is a Cruise Right For Me? 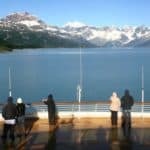 Cruises offer excellent value as they include your accommodations for the length of the cruise, meals and entertainment. On board the latest generation of cruise ships you’ll find multiple dining options ranging from formal sit-down restaurants, to pizza, a grill serving hot dogs and hamburgers, casual buffets and informal bistros. You’ll also find a myriad of entertainment options with lavish Broadway and Las Vegas style revues, live rock and country-western bands, cabaret, jazz, piano bars, discos and casinos. You’ll also be able to keep up your workout regimen with the state of the art fitness facilities and spas, not to mention jogging tracks and swimming pools. On some ships you will even find ice-skating rinks and rock climbing walls! 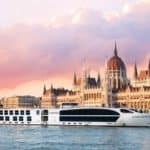 Today’s modern ships also follow and feature many of the popular trends found in world-class resorts and major cities such as Martini, Champagne and Caviar Bars, Cigar Clubs, cozy bistros, Coffee Bars and Internet Cafes. What should be my first cruise? a longer itinerary with some “sea days.” That way you can relax and enjoy the ship’s facilities. It’s really the only way to find out what “cruising” is all about. So, look for a cruise with some balance between sea days and port days. My preferred cruise is for at least 8 days with only 3 ports. I enjoy the days at sea relaxing. It may have all the amenities of a shore-side resort, but a cruise ship does travel on open water. Your body will register that motion no matter how big the ship is or how well stabilized it is . So, if you experience severe motion sickness on land or on airplanes then cruising may not be for you. 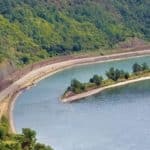 However, ordinary motion sickness can be relieved by remedies like Dramamine and acupressure bands, which you can bring on board, or purchase at the ship’s store. If you’re susceptible to motion sickness, book a cabin on a lower deck in the middle of the ship where motion is minimized. Even better is a balcony cabin in the middle of the ship, as fresh air really does help with motion sickness. If the going gets rough, you can get a motion sickness shot in the ship’s medical center. Do I have to get dressed up every night? If you love dressing up, then by all means do so. But cruising has become less formal in recent years, so fancy dress is optional. In fact, many new ships offer several informal dining venues where you don’t need to dress up at all. Still, most ships continue to offer two formal nights in the main dining rooms: the Captain’s Welcome and the Farewell Dinner. Formal-night attire ranges from tuxedos to dark suits for men, and for women, the formal dress ranges from long gowns to dressy pantsuits. More casual dress is appropriate in the dining rooms on other occasions, but most ships do not allow jeans, shorts or sleeveless men’s tops in any dining venue. Do I have to sit with strangers at dinner? One of the best parts of cruising is getting to meet people from all walks of life. But if you are uncomfortable sitting with people you don’t know, you can arrange a table change, but you must do so as soon as you get on board. If you wait too long, the staff may not be able to accommodate you. Understand that tables for two are scarce aboard ship except on some luxury cruise lines. Except on a few luxury cruise ships that have “no tipping required” policies, passengers are expected to tip their cabin steward, dining room waiter and assistant waiter. Many lines recommend that each passenger tip about $10 per day. Some cruise lines offer to add the suggested gratuities to your shipboard account; the accounting office then distributes the tips at the end of the cruise. On other ships, you leave cash in an envelope on the last evening of your cruise. Understand that ships’ crews work very hard to make your cruise top-notch. Unless the service has actually been poor, tip the recommended amount. For outstanding service, add a little more. I hope this helps answer some of your questions regarding a cruise. Please feel free to ask me any additional questions in the comment box. 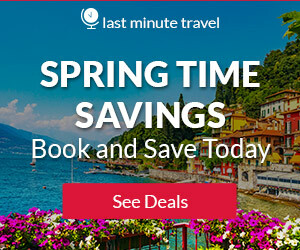 Get your Hot Cruise Deals now. Sarah, anyone will enjoy cruising. I am glad I have you talked into giving a cruise a try. If you have any additional questions or need help with booking, please let me know. You gave me a few excellent pieces of advice on what to look for when I plan a cruise trip! 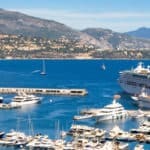 Is a cruise right for me? I guess yes when I read your guidelines. Sounds like being exciting, and at first sight, without any disadvantages. Do you know what typically happens, when the ship is on shore, and a passenger gets late coming back on the deck? Does the crew wait for him, or not? Yes Tony, the ship will leave you behind. But they have a port official to help you with getting back to the boat. This is pretty rare, but it does happen. Thanks for visiting! Thanks for visiting Maryann, but you are right that the larger the cruise ship, the less you will feel any movement. In rough waters of course, there will be some movement. I never feel any movement when I am on board, but I have always been on a very large cruise ship. My son gets sea sick easily, but he did not get sick either. I’m so glad you addressed the sea sickness issue that I was worried about. I personally have gotten motion sickness when I was touring on a large ship that was just sitting in the port. I could sense the movement. I was really grateful when I got back on land. (I think I was touring a WWII navy ship. It stayed anchored the whole time, but the gentle movement was too much fore me.) I think I may not do too well on a cruise. Maybe I’ll just bring along a lot of dramamine. Yes Melinda, Dramamine will do the trick. You also have to remember the dimensions of a nave ship compared to those of a cruise both. A navy ship is going to sway a lot more because of its shape. Cruise ships are so big anymore, that you can’t feel that sway. Only in rough waters, will you begin to notice anything. My advice would be to take a cruise on one of the larger cruise boats. This is would eliminate a lot of the problems for you 🙂 Thanks for reading! I love the sea and I was thinking about a cruise. I’m kind of worrying about the motion sickness, though. I have it pretty badly, so I’ll probably choose some medication. Which cruise line do you think is the best? I’m thinking about the Mediterranean sea. I would go with Norweigian Cruise Line or Viking. Both have great cruises to the Mediterranean. I think anybody with sea sickness can have a great time, just as long as they make sure to have medicine on hand. My son also gets sea sickness, and he did just fine. Thank you for visiting! I love reading articles on travel. My wife and I travel a lot. I have always been dreaming of taking my wife on a cruise someday. Last year we realized that dream. We took a 3-week cruise from Cape Town to Venice aboard the MSC SINFONIA. We had a ball and are planning an another to the Carribean next year. I would recommend a cruise to anyone. I would certainly bring less clothing next time as I spent most of the time on deck or in the pool. Sounds like you two had a blast. Wow, a 3 week cruise sounds absolutely wonderful! I would love to be able to take a long cruise like that some day. Thanks for stopping by and visiting Is a Cruise Right for Me. A friend of mine just got a job as an entertainer on a cruise line. His parents are going to go on a cruise with him next month. I have never been on one, I do not know what to expect. You have lined things out pretty well in this article. If I get a chance to go on one of Devin’s cruises, I will know what to expect for my first real cruise. I really don’t like to dress up and do get motion sickness sometimes, both things for me to think about before going. John, you will enjoy for sure. The last cruise I went on, we had one “formal” dinner. Really it is like dressed up casual. I saw very few men in actual tuxes. I am more of a care free casual dresser, so I had to buy a sundress for this night 🙂 Cruising is a great bargain and a ton of fun! Plus you can meet so many new friends. Thanks for reading! 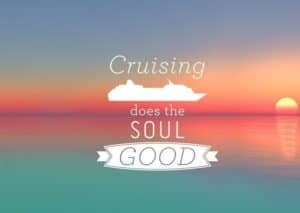 You summed it well – I LOVE CRUISING!! I did my first cruise a few years and I am still cruising. I agree that the ‘mood’ has changed but it still basically a worry-free, easy to plan vacation. Sometimes you might even not want to leave the ship. And yes, you might be inclined to eat all you see, but it’s all good…it is vacation time. Great questions answered. Yep, I agree Michelle, I love cruising too. What is not too love. Get on the boat, and be worry free. I have skipped ports before, because then it is pretty empty with everyone taking to port. Great way to relax, and really a great bargain! Thanks for stopping by! Thank you for this informative article. It has been so many years since I last went on a cruise. Reading this has made me want to go on one! I didn’t know they have laundry rooms on cruise ships. That’s a great plus, considering I have four kids. If we can laundry on board, then the luggage we carry can be lighter. Thanks for the great tips and advice! Yes, most think they need to take enough clothes for each day on the cruise, which you really don’t. I don’t like to do my laundry on the boat, so I try to bring clothes I can wear more than once if possible. You will have to go again for sure! So much fun! Than you for stopping by and visiting beach travel destinations.com. How did you know my wife and I are considering our first cruise? We are considering going on a seven day Alaskan cruise. I have a free one for us on NCL for this year. She does get motion sickness, but I think she will be fine. I was in the Navy so not an issue for me. I appreciate all if the great information you provided. I will show it to my wife. Great, you guys are going to love it! 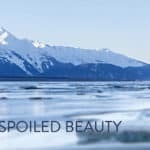 I lived in Alaska, so I know how beautiful it is. If you go any time besides June-July-August, make sure you take warm clothes and rain gear. Let me know what time of year you are going and I can tell you how to prepare for the weather 🙂 Thanks for reading! I have often thought about taking a cruise, but the bit about getting sea-sick always bothered me. But I see now that I have some options, and like the idea of a cabin with a balcony for fresh air. I also didn’t know that there is a doctor on board, which is comforting! As for eating, I suppose it is like any vacation — it doesn’t count if you are on vacation, right? So I guess that is a personal choice how much we want to eat or not. I love the idea of 3 ports and the rest of the time being on the ship. I could use some forced relaxation, and where else to get that but the middle of the ocean…?! Thanks for the great info! This was great information regarding taking a cruise. I have honestly never taken or thought about taking one. I think you have talk me into considering it now. Sounds like it can be a great deal with everything included. Thanks for all the great information. A lot of people think that they are too expensive and they don’t want to be stuck on a boat. Cruises are all inclusive, including everything but drinks (for most cruise lines). I think they are a bargain. You would find you love it and will find yourself going on a cruise more. Is a Cruise Right For Me? I have a friend who works on cruise ships and he is a musician. I have heard a bit about what they are like from his experiences. The good news is that you can get online and feel almost like you’re able to do normal activities. If I ever decide to go I will most likely see which one he will be working on and fly to that location to try the experience out myself. They definitely sound fun and worth the cost to try a new way to vacation. Going on a cruise is one of those things on my bucket list. I really want to do it soon. You covered all of the questions I would have asked. Is there a way to find out if there are any deals going on? Yes Wendy, please keep posted as I will provide with some great deals. I have found Avoya Travel (link on my site) to have the most competitive prices, and have used them myself. Thank you for visiting my new Take A Cruise section. I have been on 1 cruise and can’t wait to go back on another one! I t was definitely an awesome experience and the part I liked the best was the food. I for sure gained weight but it was allll worth it lol. I’ts also pretty safe for those wondering about things go wrong. the crew prepares you thoroughly before you leave with drills so you know what to do and where to go in case of any mishaps. Overall, it was a great experience and I highly recommend it. I love cruising myself. People don’t realize what a great bargain it really is. Everything is included, except for alcoholic beverages that is. 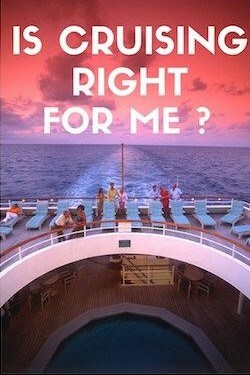 Thank you for reading my post, Is a Cruise Right for Me?